Hello, lovelies! I am still in Oklahoma but scheduled this post ahead of time so I could share this awesome new collection with you! 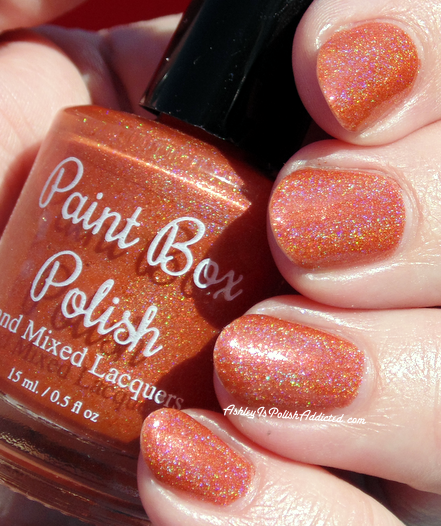 Pam, the super sweet lady behind Paint Box Polish, is a huge Harry Potter fan (and has done other Harry Potter themed collections in the past) and decided to do a collection inspired by The Knight Bus scene in the third book/movie, Prisoners of Azkaban. It's one of my favorite stories out of the entire series so I was super excited to see what she came up with! 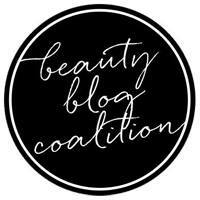 Stay tuned until the end of my post for a 15% off discount code! 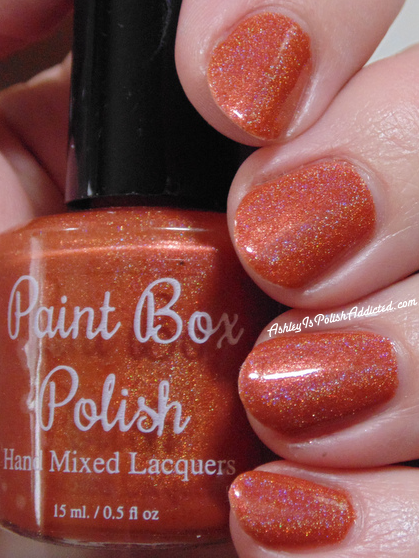 In addition to the four polishes in this collection Pam also created a Pumpkin Juice cuticle oil! I absolutely love the scent - it smells just like I imagine the pumpkin juice from the stories would smell, sort of a mix of pumpkin and apple with a few other things thrown in. If you've followed me long you know I have an extremely sensitive nose but thankfully this one didn't bother me. The oil itself is extremely moisturizing and has become my go-to brand for cuticle oil (as well as mani fizzes!). I especially love the pen brush applicators for ease of use. Now, let's get to the polishes! I will paste the maker's descriptions along with my own thoughts. 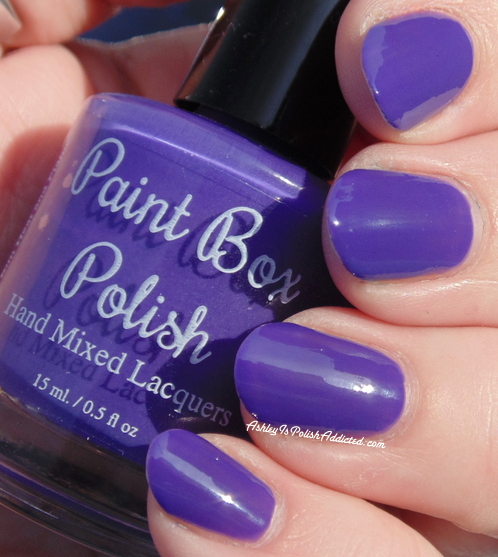 A buttery, blue-leaning purple that is a nod to the emergency transport vehicle itself! 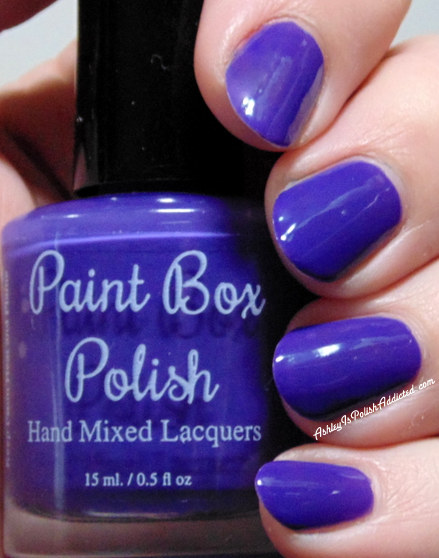 This one is a gorgeous blurple and the formula was like butter! Very creamy and smooth. And so shiny on its own! I used 2 coats and no top coat for the photos (with the exception of my index finger in the first photo, apparently I forgot to put a second coat on that one and didn't realize it until later). The first photo is the most color-accurate as the sun seemed to wash it out a little bit. What 'Choo Fell Over For? Did you see the beautiful, dark, glistening asphalt that Harry planted his buns on when the Knight Bus appears out of nowhere? My goal was to recreate that in this polish. 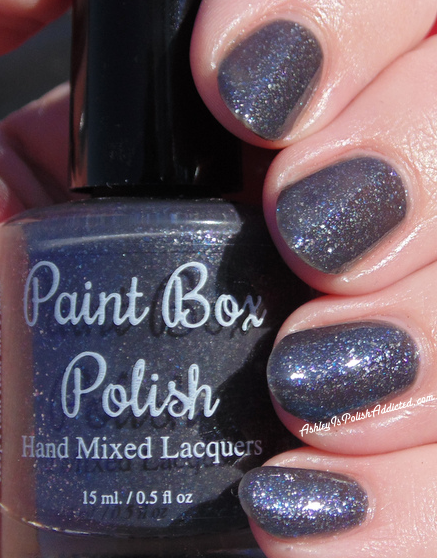 A dark grey creme base that is packed with white, blue, and purple flecks. 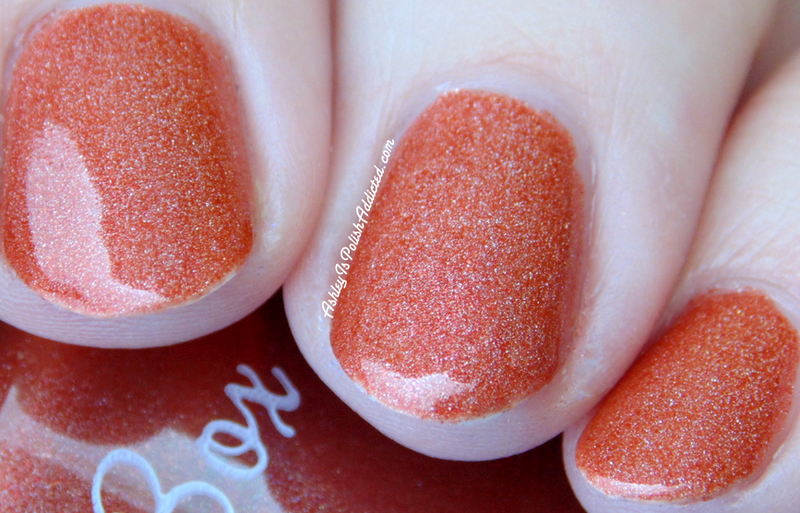 This polish has so much depth and absolutely reminds me of the glistening asphalt from this scene! It has a lot of depth and sparkle. It goes on a bit sheer in the first coat but built up nicely in two. I noticed in my photos it looked a little patchy in a couple of spots in my sunlight photos. I did not notice this with my eyes, but adding a third coat will take care of that if you need it. The formula was easy to work with and I had no issues. I'm showing 2 coats and 1 coat of top coat. Won't The Muggles See Us? This film is saturated with varying shades of blue and grey. This polish is a nod to that. 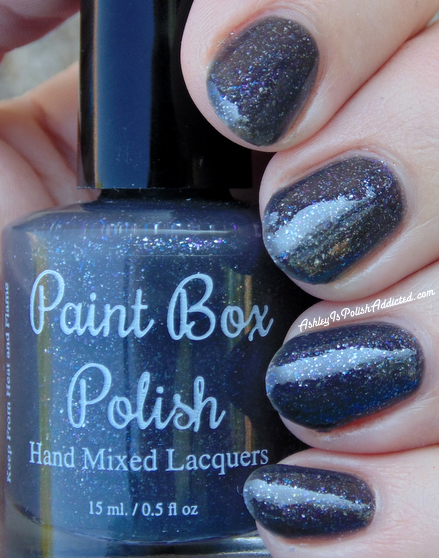 The palest blue is peppered with grey and violet flakies and highlighted with white and blue flecks. 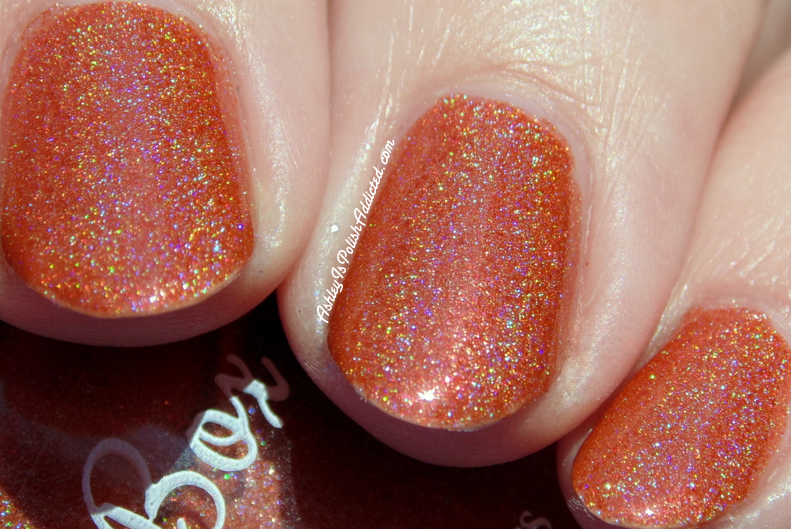 This polish has a lot more depth and sparkle than my photos show! It's such a versatile shade and I think it would be flattering on a wide variety of skin tones. It will be perfect for snowflake manis in a couple of months. 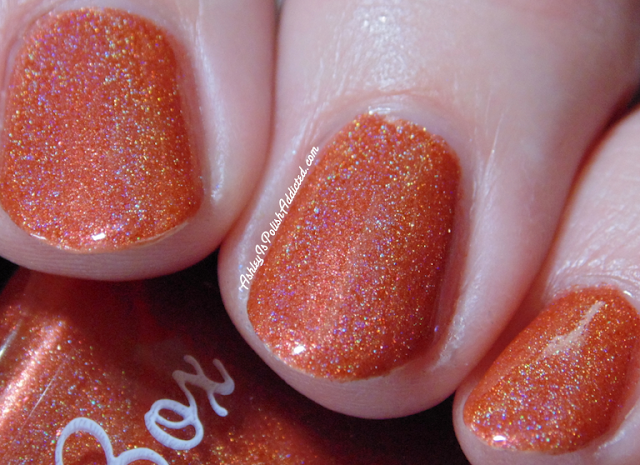 ;) I had no issues with the formula and I used 2 coats and 1 coat of top coat. One of the few places in this film with a warm feel is The Leaky Cauldron. It’s polish is a dusty, warm, dirty orange with linear holo and fiery, copper flecks. Kinda like the tavern itself. (But we took some liberties with the rainbow holo thing). And that concludes The Knight Bus Collection! What are your favorites? I really love all of them but The Leaky Cauldron stole my heart. This collection will launch on Saturday, November 7th at 12 PM (noon) EST! And I have a code to save you 15%! Use code ADDICTED - it never expires! Labels: Harry Potter , Paint Box Polish , Paint Box Polish The Knight Bus , Paint Box Polish The Leaky Cauldron , Paint Box Polish What 'Choo Fell Over For? 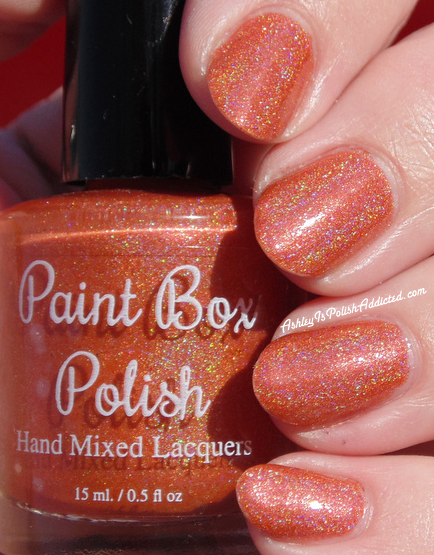 , Paint Box Polish Won't The Muggles See Us? Beautiful swatches, Ashley!! And I'm so glad you loved the cuticle oil! I'm really happy with the scent.